The vacation rental consists of one main room, a small kitchen/entry room and a bathroom. 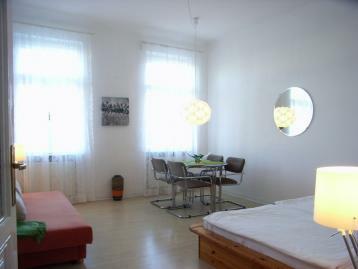 The studio apartment can be easily reached from the Vienna airport without having to change trains. On a comfortable convertible couch 2 additional persons are possible.